Where corporate London meets creative London, there's innovation in the air. To the south, St Pauls, the Thames and the corporate strongholds of the City. To the north, the creative and digital pioneers of Shoreditch and Tech City. At the heart of it all lies the Montcalm Royal London House, a unique new destination for business travellers, weekenders and urban explorers to experience an area alive with possibility. 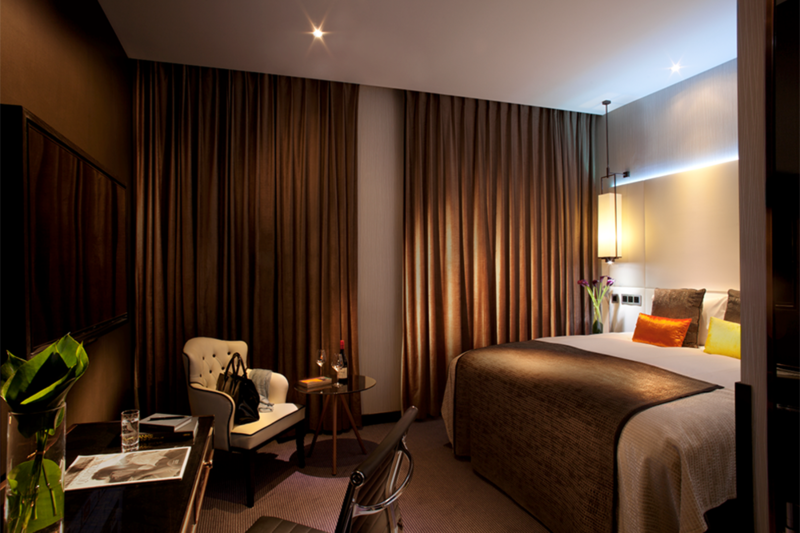 253 spacious, tech-ready rooms provide all the Montcalm's trademark touches, some looking out over the lawns of Finsbury Square. Subtle mid-century styling meets twenty-first century tech throughout, from the alluring lobby to the striking new rooftop restaurant and bar, Aviary, revealing a fresh perspective of the city. Burdock, a second restaurant and bar, brings energy to the lobby area, and there's a state-of-the-art spa and gym, along with cutting edge meeting spaces for up to 300. It all adds up to one of the City's most stylish new spaces. * S'il vous plaît noter que le check-in est à 14h00 et le check-out est à 12h00.